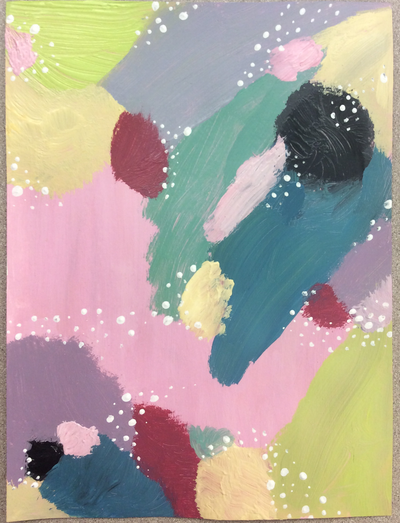 Learners in painting 1 began their journey into painting discovering how to mix colors and learning about abstraction. Most of the painters had not worked in abstraction before, so the final lesson was a bit of a challenge for them. Beginning with the color wheel and learning the color families as well as how primary colors plus black and white supplies the painter with just about every color they could need. Some learners had experience with the color wheel and could assist others in class. 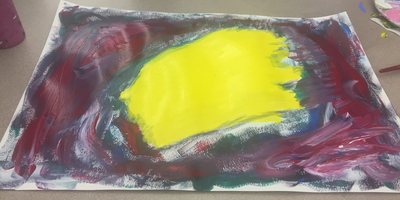 From the basics we moved into color symbolism, what could color mean to you? How does it make you feel when you see orange? Or green? Through discussion and a word association game painters discovered that different colors can mean different things to individuals. They also discovered how many colors (six to be precise) have been used by marketing companies to mean very specific things to the general populace when combined with brand names. From color symbolism, painters moved into abstraction and how to minimize their representational world into only shapes and colors. Learners began with an exercise that allowed them to use basic shapes and any color they could mix to represent a movie of their choice. 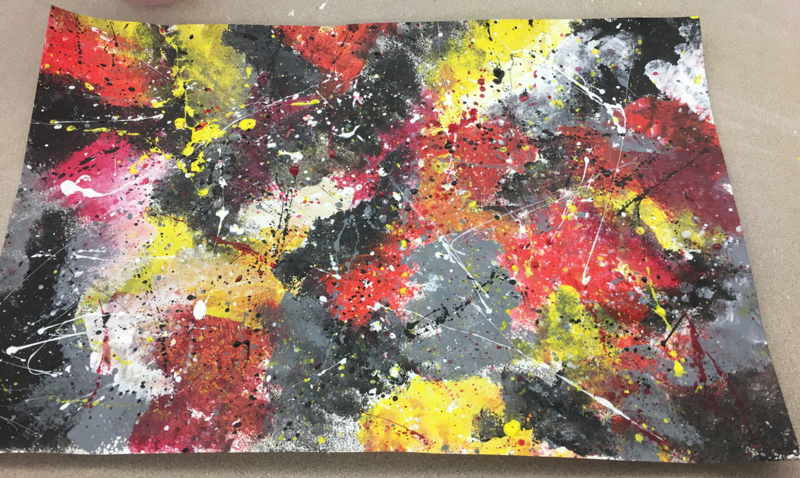 This exercise allowed learners to only focus on designing a meaningful painting without direct representation.